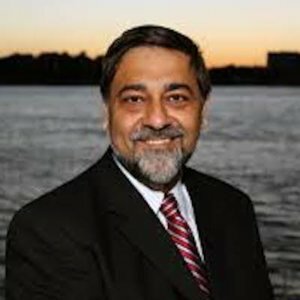 This post is written by Vivek Wadhwa, Vice President of Academics and Innovation at Singularity University. The price of genome sequencing is dropping at double the rate of Moore’s Law. Today, it is possible to decode your DNA for a few thousand dollars. With the price falling at this rate, a full genome sequence will cost less than $100 within five years. Genome data will readily be available for millions, perhaps billions, of people. We will be able to discover the correlations between disease and DNA and to prescribe personalized medications—tailored to an individual’s DNA. This will create a revolution in medicine. We can now “write” DNA. Advances in “synthetic biology” are allowing researchers, and even high-school students, to create new organisms and synthetic life forms. Entrepreneurs have developed software tools to “design” and “compile” DNA. There are startups that offer DNA synthesis and assembly as a service. DNA “printing” is priced by the number of base pairs to be assembled (the chemical “bits” that make up a gene). Today’s cost is about 30 cents per base pair, and prices are falling exponentially. Within a few years, it could cost a hundredth of this amount. Eventually, like laser printers, DNA printers will be inexpensive home devices. It isn’t just DNA that we can print. In an emerging field called digital manufacturing, 3D printers enable the production of physical mechanical devices, medical implants, jewelry, and even clothing. These printers use something like a toothpaste tube of plastic or other material held vertically in an X-Y plotter that squirts out thin layers of tiny dots of material that build up, layer by layer, to produce a 3D replica of the computer-generated design. The cheapest 3D printers, which print rudimentary objects, currently sell for between $500 and $1000. Soon, we will have printers for this price that can print toys and household goods. Within this decade, we will see 3D printers doing the small-scale production of previously labor-intensive crafts and goods. In the next decade, we can expect local manufacture of the majority of goods; 3D printing of buildings and electronics; and the rise of a creative class empowered by digital making. Nanotechnology is also rapidly advancing. Engineers and scientists are developing many new types of materials such as carbon nanotubes, ceramic-matrix nanocomposites (and their metal-matrix and polymer-matrix equivalents), and new carbon fibers. These new materials enable designers to create products that are stronger, lighter, more energy efficient, and more durable than anything that exists today. There are also major advances happening in Micro-Electro-Mechanical Systems (or MEMS), which make it possible to build inexpensive gyros; accelerometers; and temperature, current/magnetic fields, pressure, chemical, and DNA sensors. Imagine iPhone cases that act like medical assistants and detect disease; smart pills that we swallow and that monitor our internals; and tattooed body sensors that monitor heart, brain, and body activity. And then there is Artificial Intelligence, which has advanced to the point at which computers can defeat humans on the TV show Jeopardy, perform medical diagnosis, and drive autonomous cars. With every good comes a bad, and our optimism always needs to be grounded. Synthetic biology could lead to new forms of bioterrorism; surveillance technologies—which are becoming ever more sophisticated—already provide governments more information than Big Brother ever dreamed about; no guidelines have yet been developed for ethics in the exponential era. My worry: will humanity evolve fast enough to fulfill its increasing responsibilities?